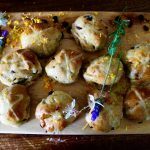 It's Easter time, and hot cross buns are everywhere but with their fruit and spicy flavours they are so easy to tweak to a healthy alternative packed with anti-oxidants and vitamins. Try our buns with added superfood ingredients. 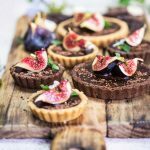 1In a large bowl, combine flours, apple, berries, yeast, baking powder, cinnamon, cacao nibs or dark chocolate, lemon and/or orange rind and sugar. Mix together thoroughly. Make a well in the ingredients. 2Combine milk and butter over low heat and stir to allow the butter to melt. Mixture should be warm and not hot, as this will kills the yeast. Whisk egg with butter and milk mixture and add to flour mix, stirring through to form a soft dough. 3Turn out the dough onto a lightly floured surface and knead until smooth and elastic (10 minutes). If the dough is not too runny, add up to 1/2 cup more of spelt flour. 4Divide the dough into 12 even pieces and roll each into a smooth ball. Place balls on a baking tray lined with baking paper, making sure each ball is roughly 1cm apart. Cover and stand until doubled in size (30-40 minutes) in a warm place. (Remember to preheat the oven at this point). 5Mix remaining 1/4 cup flour and 1/3 cup water in a bowl, whisking to create a smooth paste. Adjust if too thick or thin – it needs to remain in place when piped. Spoon into a piping bag and pipe a cross onto each bun. 6Bake for 10 minutes. Reduce oven to 200 degrees and bake until golden (8-10 minutes). 7While baking, make the glaze. In a small pot, combine the sugar, water and lemon juice. Stir over medium to high heat until sugar dissolves. 8Add a cinnamon stick and reduce heat to medium, bringing it to a simmer. Cook for about 10 minutes until the water is evaporated and sticky syrup forms. 9Remove cinnamon stick, add cinnamon powder. Brush thickly over your hot cross buns and transfer to a wire rack to cool. Apple: Fights against free radicals that attack skin cells and damage collagen and elastin. The high fibre aid digestion, protects against colon cancer and helps the body rid itself of toxins. Goji Berries: These berries have a really high antioxidant count, this helps keep your skin smooth and fights off a dull appearance - giving you a glow! 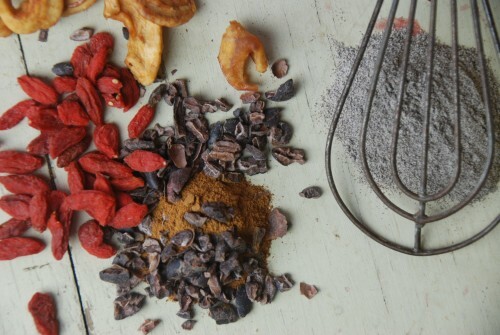 Cacao nibs: Naturally reduce the amount of stress hormones released, keeping your mind and body positive! Citrus: We all know this one, it’s packed with Vitamin C! It aids your immune system to keep you at your best.